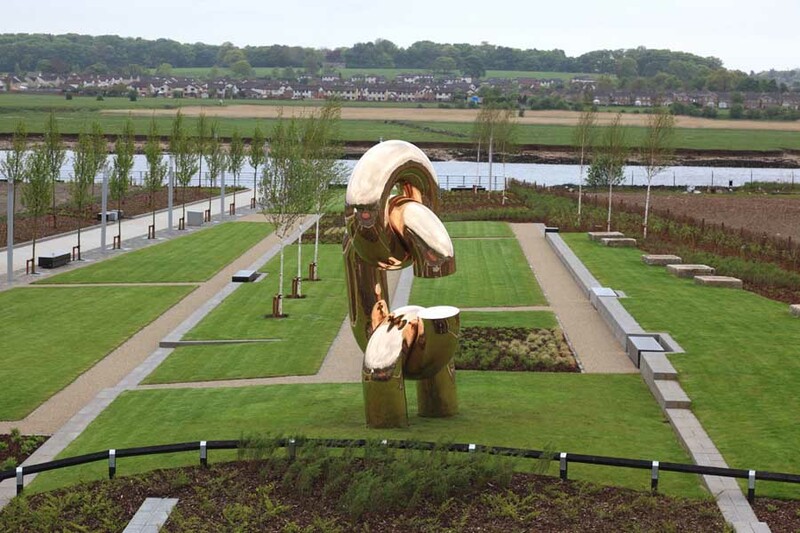 A new £3.5 million business park with a contemporary sculpture, gardens and riverside walkway in Clydebank, designed by Austin-Smith:Lord, picked up a 2009 Roses Design Award in the Architecture/Regeneration category. The prize was announced at a ceremony in Nottingham on 23rd October. The park, Clyde Gate, opened in May, is the first phase of a multimillion pound project, led by Clydebank re-built, the pathfinder urban regeneration company set up in 2003 with a 20-year plan to regenerate the former shipbuilding town, Clydebank. Phase 2 of the project includes a new development, also designed by Austin-Smith Lord and currently on site, which consists of a 3-storey pavilion building with nursery facilities on ground floor level and office space on the upper levels. 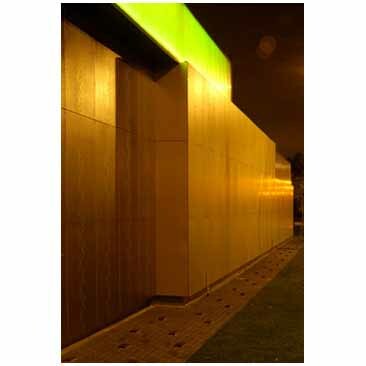 The building design involves the latest energy-efficient techniques and materials and a subtle understated approach that will allow the project to sit comfortably within the highly-landscaped setting. Visual impact, flexibility, usability and comfort were key considerations for the design team. The design also incorporates internal and external play areas that both provide a secure environment for nursery children and staff and views to the recently completed park outside. Austin-Smith:Lord has also been appointed by Clydebank re-built to prepare proposals to extend the riverside walkway westwards along the north bank of the River Clyde from the Clyde Gate site. The new walkway will connect with the recently completed promenade and extend across the grounds of the NHS Golden Jubilee Hospital. A planning application will be submitted in November. A new £3.5 million public garden with contemporary sculpture and riverside walkway on the River Clyde was formally opened on Friday 15 May in Clydebank in West Dunbartonshire. The event also marked the launch of a new business park located on the adjacent site fronting the new park and the river. The five-acre site next to the Golden Jubilee National Hospital has been extensively landscaped with public gardens, access to a new stretch of riverside walkway and 12 individual and serviced plots for sale for business or joint venture developments. The project has been delivered by Clydebank Re-built, the town’s award-winning urban regeneration company and the landscape architects for the new high quality public spaces were Austin-Smith:Lord LLP. The public realm works are the initial phase of redeveloping the Clyde Gate sites in accordance with the approved masterplan, also prepared by Austin-Smith:Lord. Civil and structural engineers for the public realm and infrastructure enabling works were Will Rudd Davidson and the main contractor was Land Engineering Scotland Ltd. Neilson Partnership were cost consultants with Mott MacDonald providing additional engineering input. Austin-Smith:Lord was commissioned by Clydebank Re-built, in partnership with the NHS Trust, in 2004 to prepare a masterplan for the Clyde Gate and the Golden Jubilee National Hospital and subsequently appointed to provide landscape architecture services to deliver enabling works at Clyde Gate, one of the key sites in Clydebank’s regeneration. The objective of the enabling works was to provide a high quality, attractive environment on the river’s north bank to encourage future office development by the river, as well as addressing flooding issues, site remediation and improve pedestrian and vehicular access to the area. The project establishes a benchmark for quality for Clyde Gate and maintains Clydebank Re-built’s commitment to design-led regeneration. 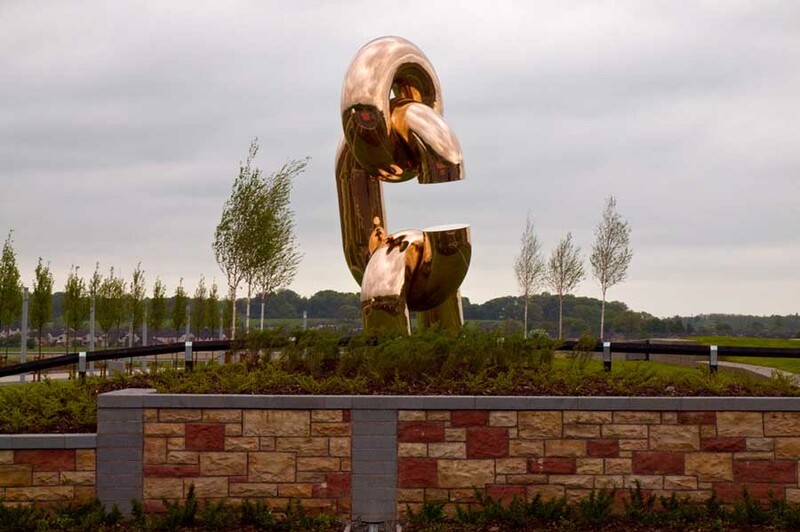 The opening of Clyde Gate on Friday 15 May was marked by the unveiling of a five-metre high bronze sculpture – called “Change” – designed by Hill Jephson Robb, one of Scotland’s leading contemporary artists. The sculpture stands at the apex of the business park and gardens, overlooking Agamemnon Street and the Clyde and marking the entrance to the hospital, the business park and the waterside park.